Now that April is here, the 2016 event season is in full swing with big automotive events happening in all corners of the Northern Hemisphere. 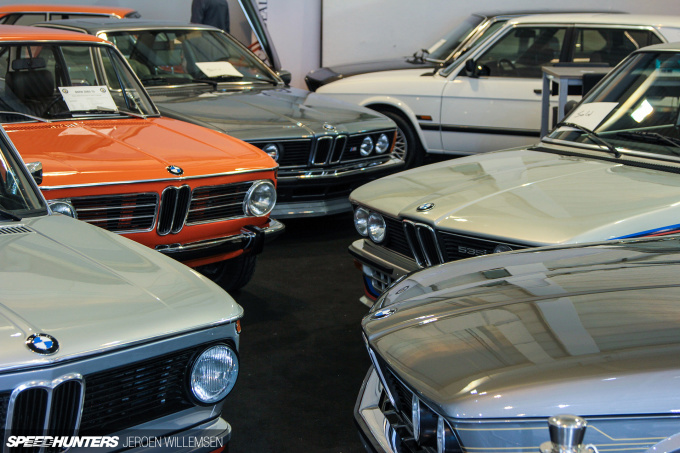 And one of the ones we dig the most is Techno Classica, held recently in Essen, Germany. 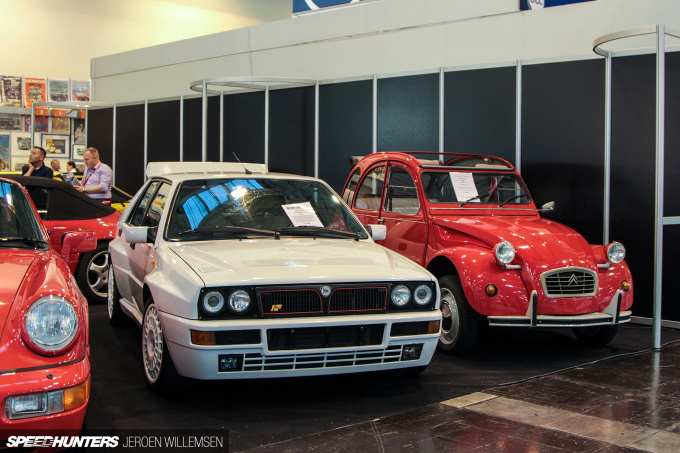 Our longtime friend Jeroen Willemsen from Streetwell attended this year’s show and was nice enough to share some of his findings from the event. 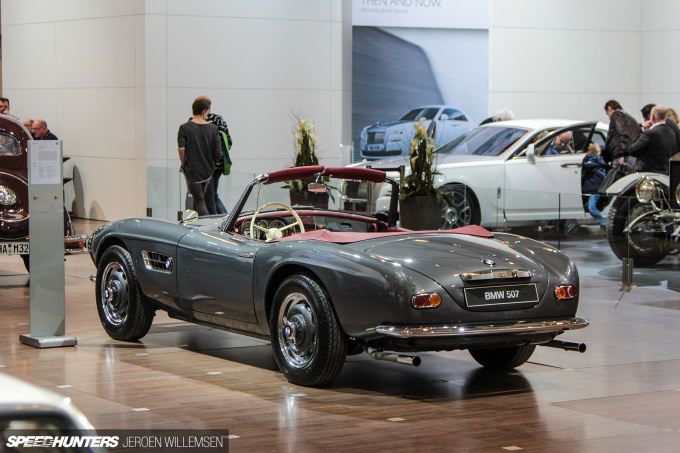 So sit back and enjoy the retro fun from Techno Classica 2016. 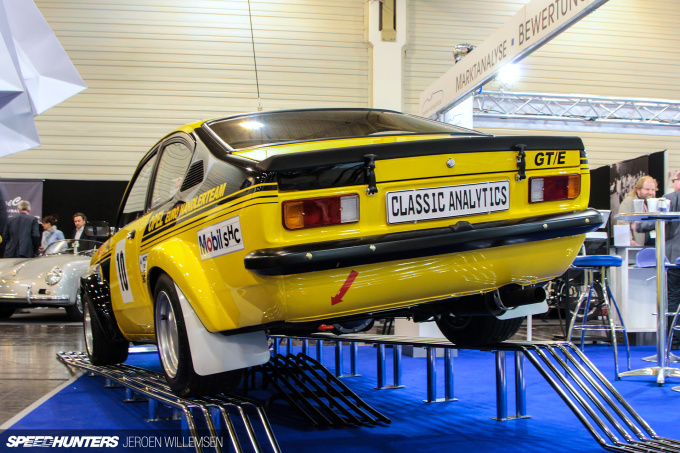 Gerent Motorsport is famous for their hillclimb builds and a gorgeous Opel GT. 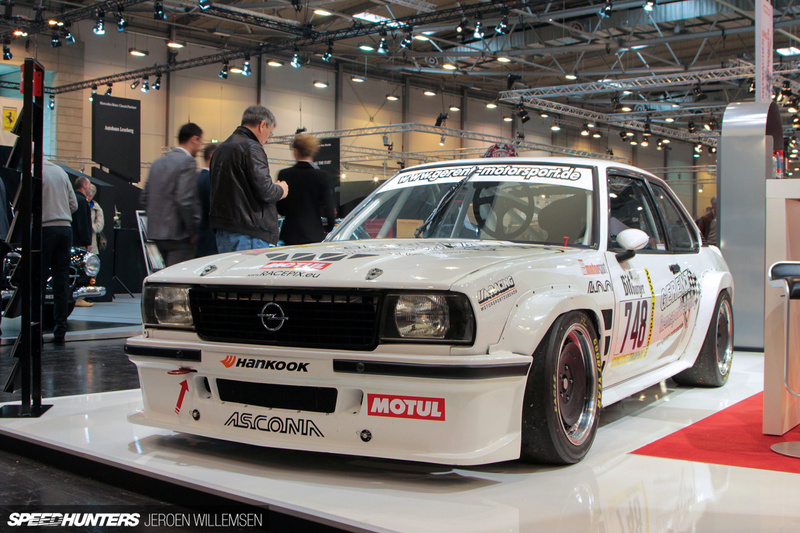 This Ascona 400 has been freshly rebuilt to compete in the Youngtimer Trophy in Germany. Lamborghini Polostorico is responsible for the restoration of this Miura P400 S. Drawing on the references and expertise available, the frame was corrected on the jig while the body panels were restored to their original shape. The chassis is now ready for anti-rust treatment and subsequently pre-coating prior to paint. 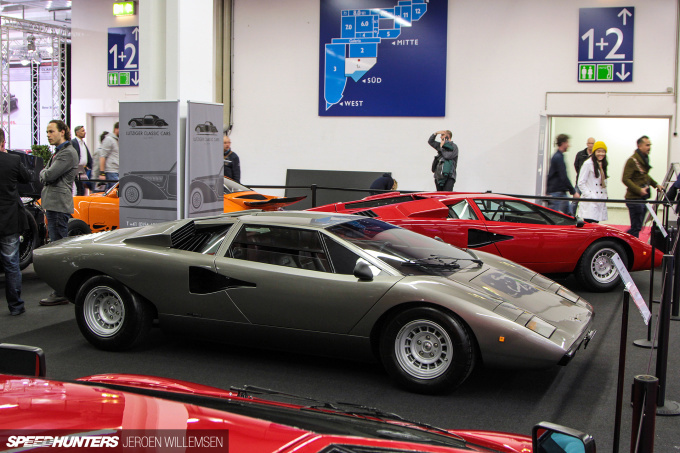 Parked alongside was a completely restored Lamborghini P400 Miura SV. 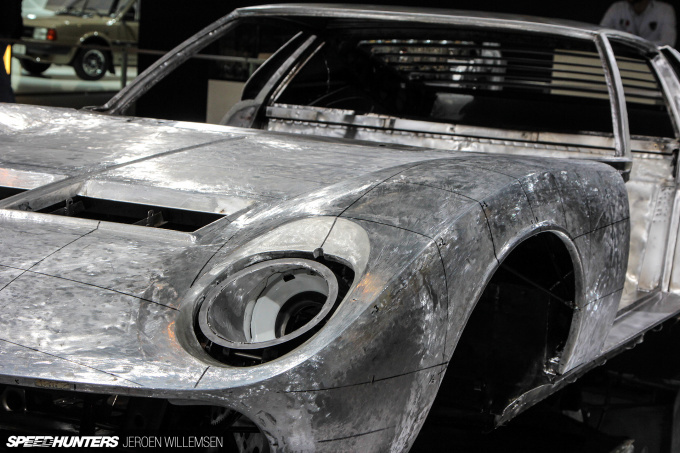 It was so cool to see the raw metal and how it had been beaten into shape. 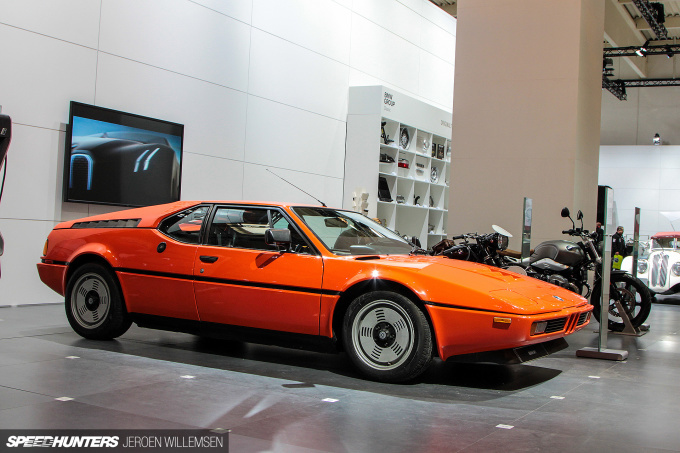 Customer cars always feature on the BMW stand, and for 2016 the line-up included this immaculate M1. 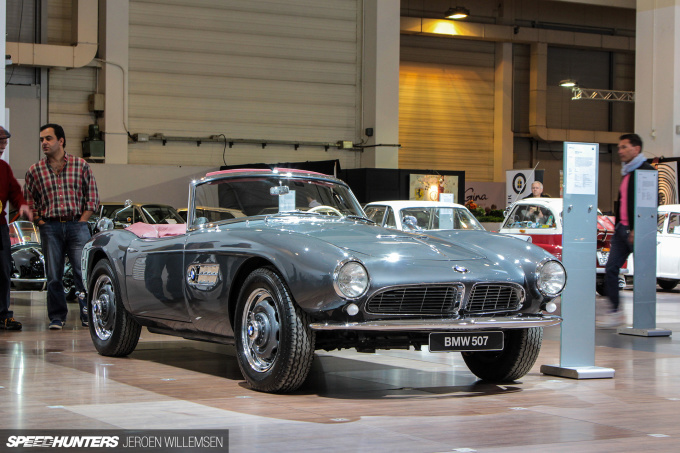 Arguably the most beautiful BMW ever built, the 507 convertible was launched at the 1955 Frankfurt Motor Show. 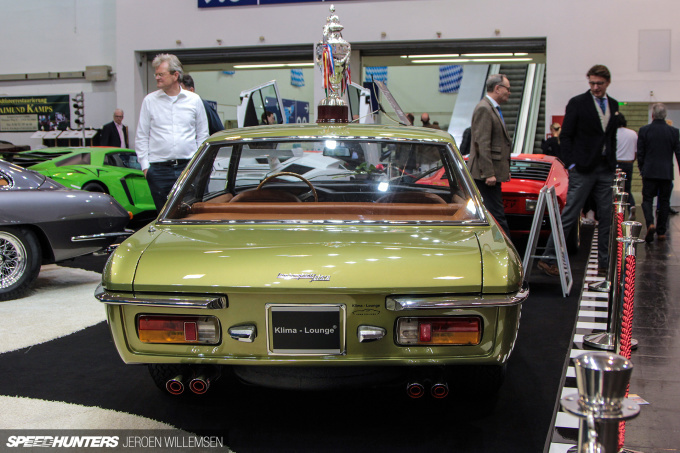 This model was based on the 3.2-liter 502 saloon but with power output increased to 150PS. 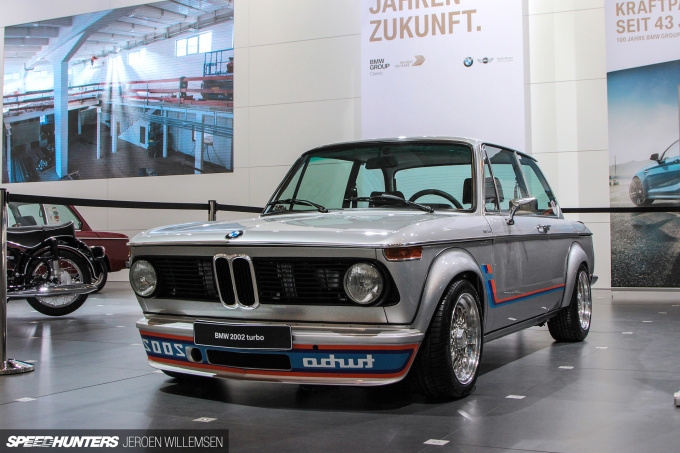 The 2002 turbo isn’t only remembered for the boosted weapon it was in the early ’70s, but for the fact that it was the very first turbocharged European production car. This 1974 example looked factory fresh. 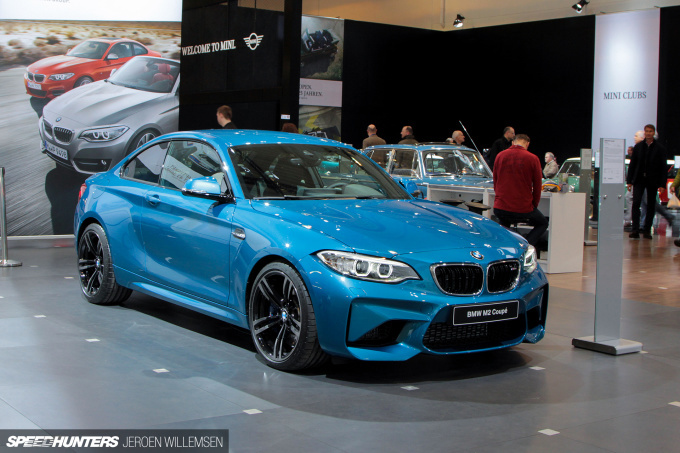 And the spiritual successor of the BMW 2002 is this brand new BMW M2 Coupé. 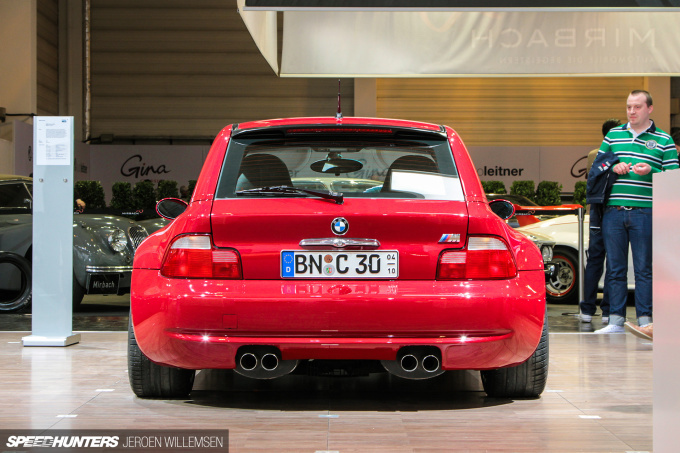 Another car on loan to BMW was this 2001 M Coupe featuring M3 components and 325PS under the hood. It doesn’t get any more exclusive than the BMW Alpina B6 2.8, and this is production car #1. 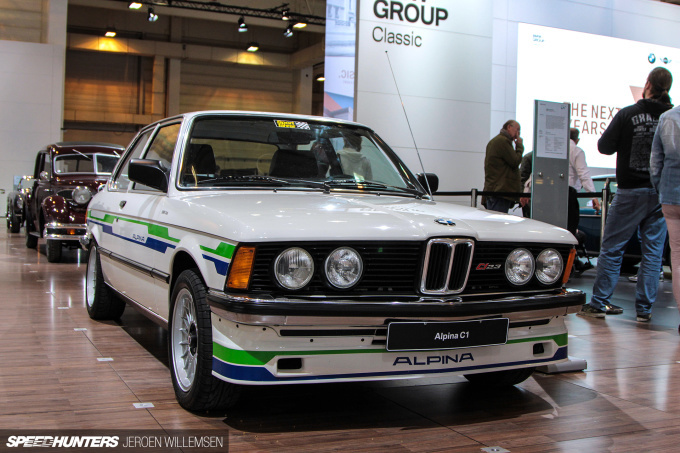 Another BMW Alpina on show was this C1 2.3 from 1979. 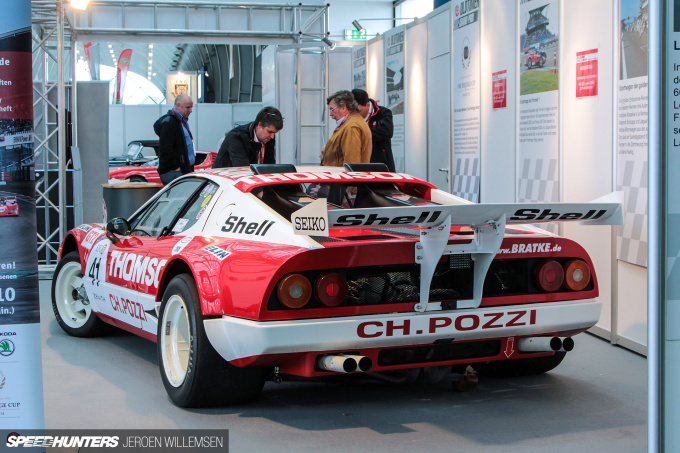 Race cars feature in large numbers at Techno Classica, and this year included a stunner from Pozzi, one of the larger Ferrari dealers in France. There are so many cars and so little room. I’ve included this image to show just how many cool cars are crammed into the tiny stands. 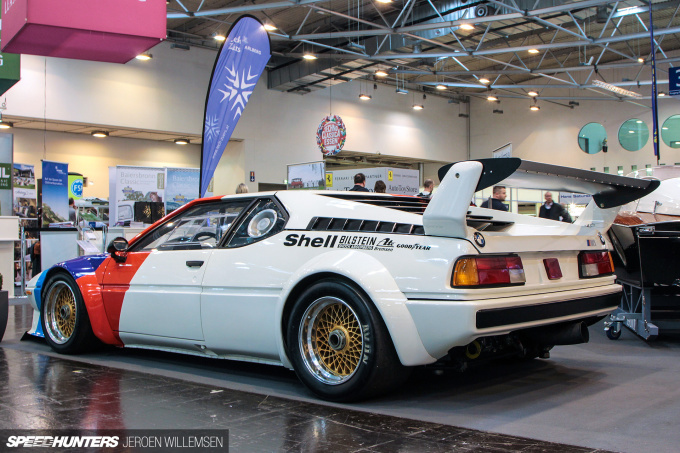 This M1 Procar was built in 1979 and delivered to Hans-Christian Jürgensen. 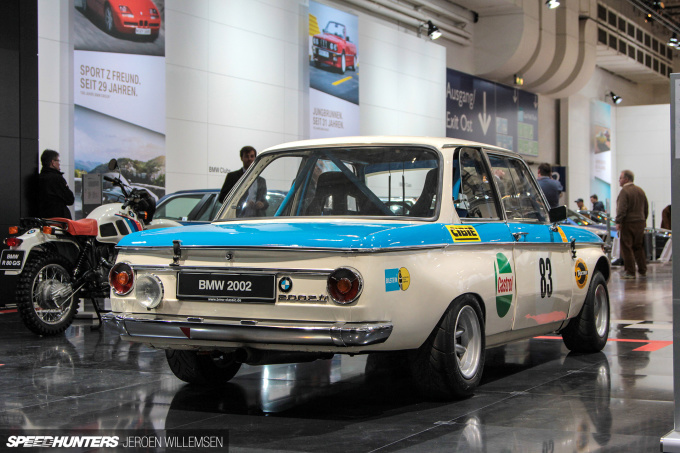 From 1980 until 2005 the BMW was used as intended and competed in more than 150 national and international races. The second owner restored the car in 2013/2014 and has since put it up for sale. DP Motorsport is a small operation doing big things, and I always make a point of dropping by when I visit nearby Cologne. 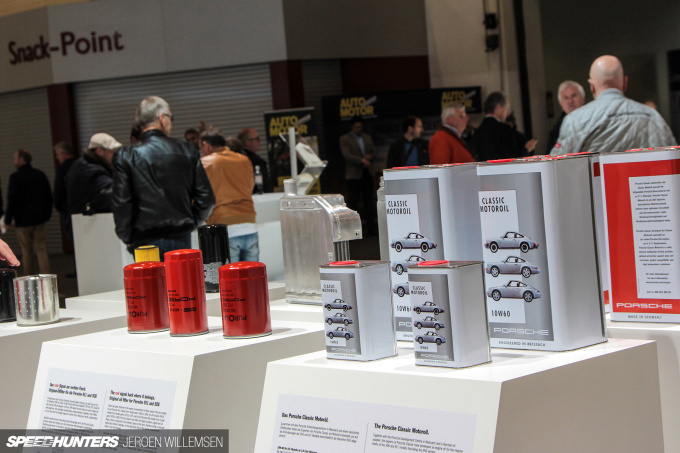 They had a tiny stand crammed with cars, including this 911 RS 3.0 IROC shell to show off their weight-saving skills. 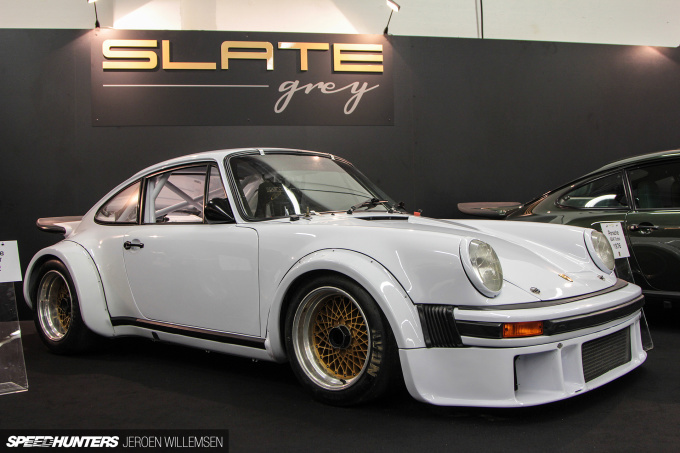 Another DP Motorsport build on display was this 964 Classic RSR 3.8 Lightweight. Its spec sheet is best described as extensive, but all you need to know is that it results in 325PS and 1020kg. 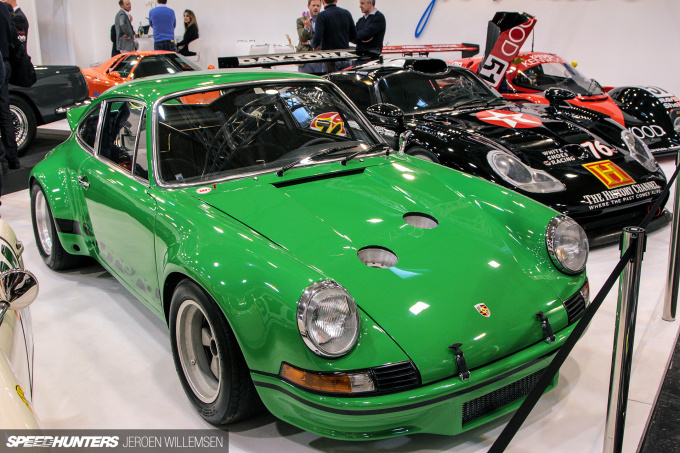 You’re definitely guaranteed a blast for the 179.000 euro asking price. 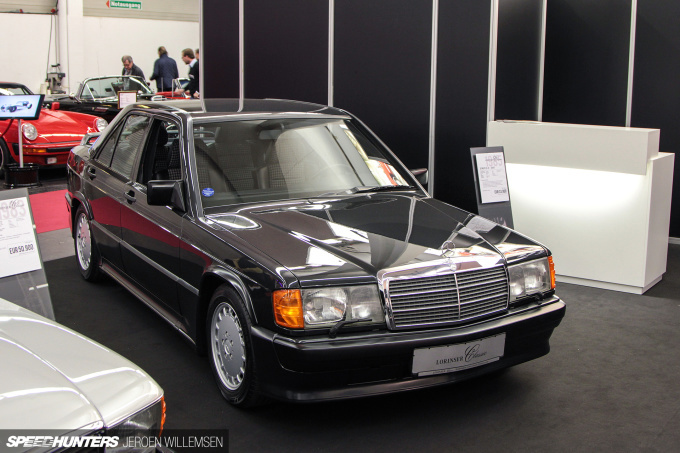 One of my favorite cars, the Mercedes-Benz 190E 2.5-16 Evolution II. Two icons side by side. Which one would you choose? 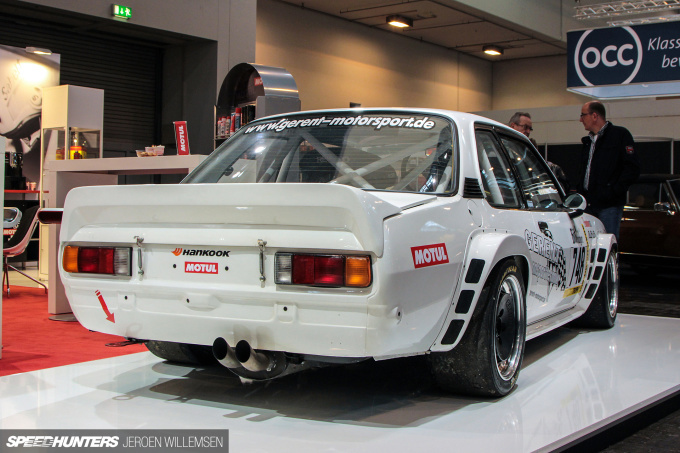 In 1985, Audi’s motorsport department began to develop a special mid-engine rally car with a tube frame chassis, plastic body and a 4-valve turbocharged engine – and you’re looking at the prototype. 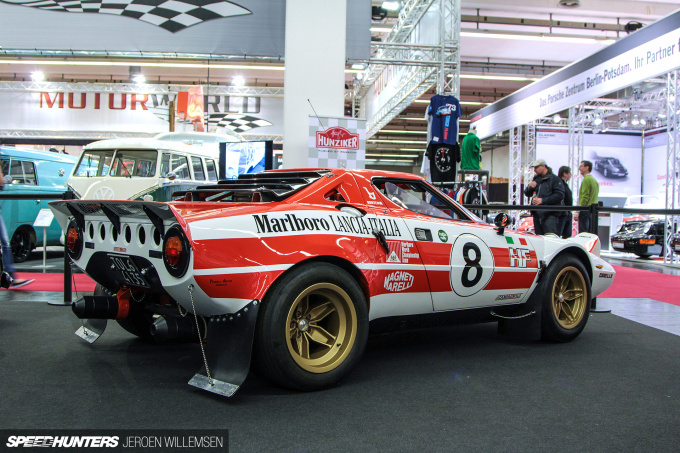 The plan was to enter the car in the Group S category that would be introduced in 1987, but of course that never eventuated after Group B was banned. 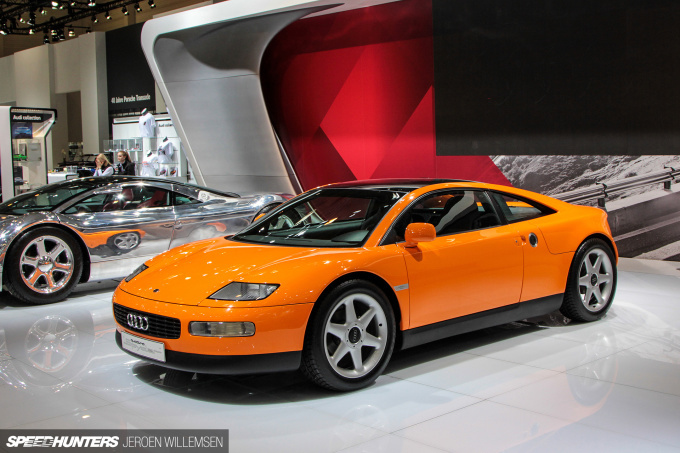 The Audi Quattro Spyder design study appeared in 1991, with its main features being an aluminum body that weighed 1100kg and a transverse mid-mounted V6 engine. Initially it was thought that Audi would do a small production model run, however the project was scrapped due to its high build cost. 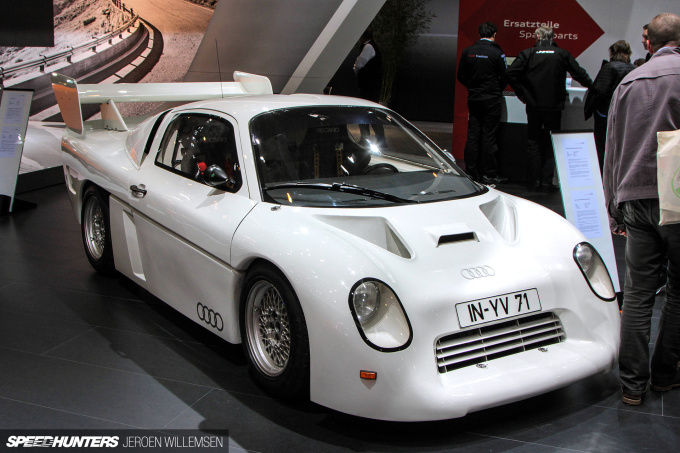 The same year Audi released this outrageous design study called the Avus at the Tokyo Motor Show. 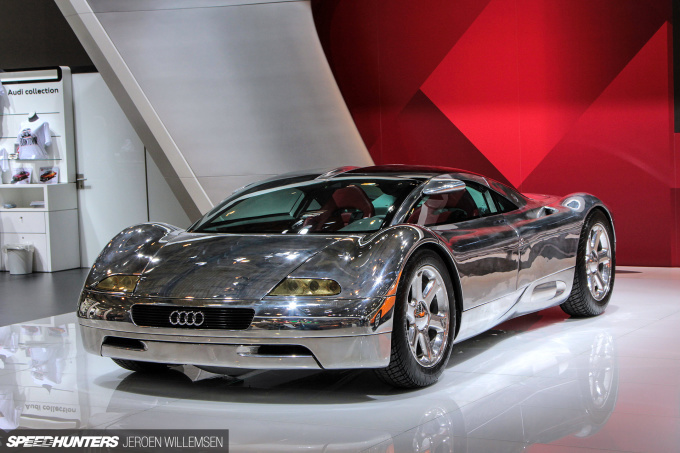 It featured an aluminum body too, but was powered by a W16 engine. In both of these cars you can definitely see hints of the Audi TT and Audi R8 that were to come later. 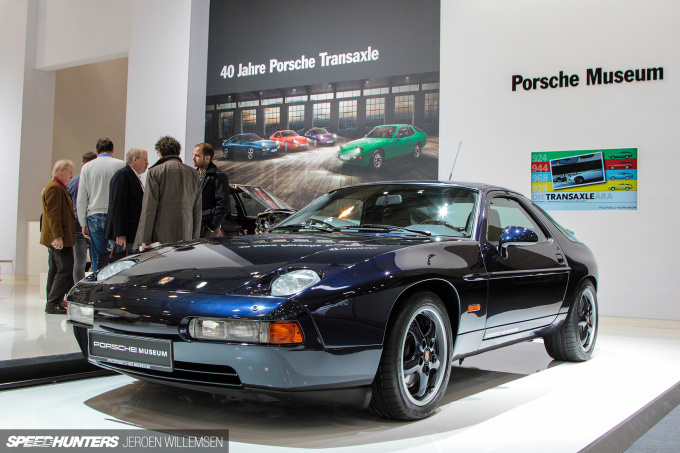 The 928 GTS isn’t the most desirable Porsche, but the model was a milestone for the brand itself, which is now celebrating 40 years of the transaxle layout. 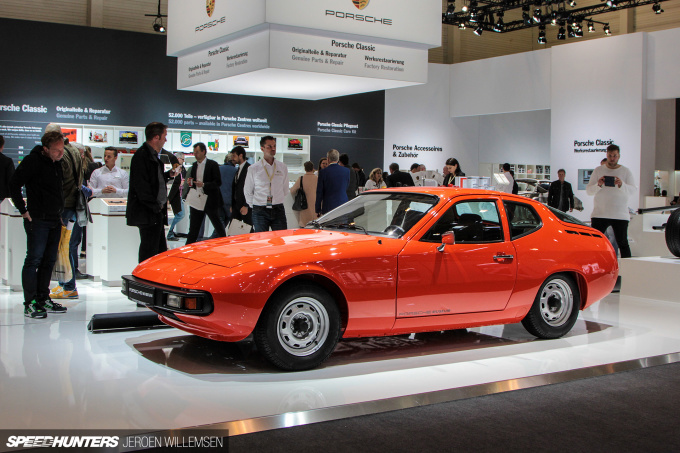 In early 1972 VW placed a development order (EA425) with Porsche for a new sports car model to succeed the VW-Porsche 914, and this the result. 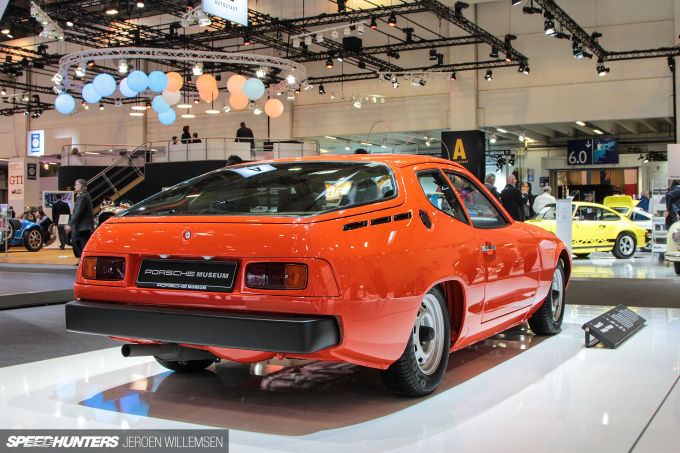 VW never went through with the model, but Porsche did, bringing it to market as the 924 in 1976. 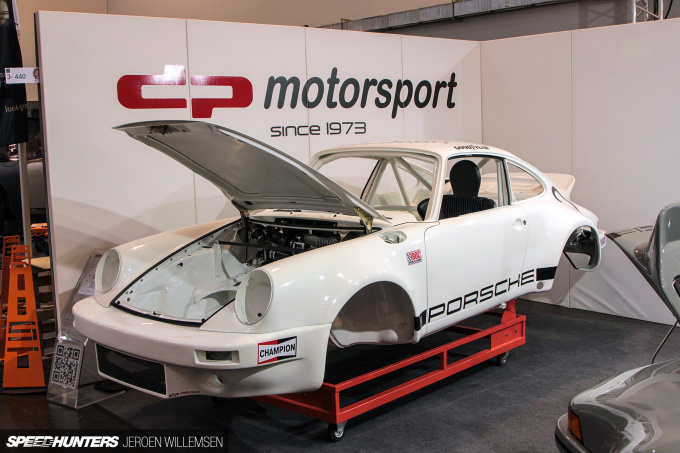 In 2007, the prototype was partially restored by Porsche Classic. 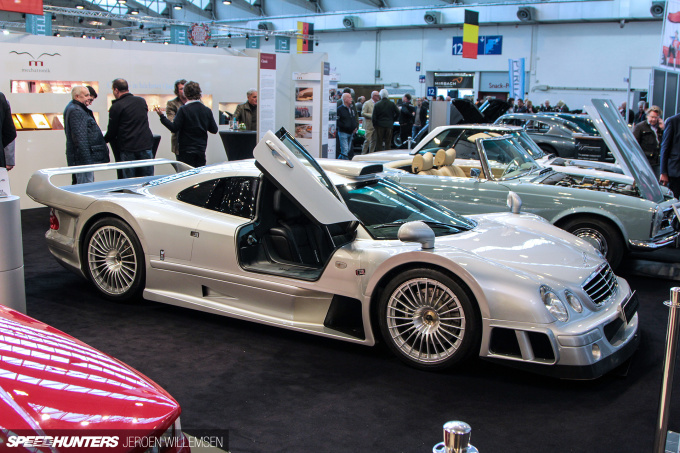 The legendary Mercedes-Benz CLK-GTR; only 20 road-going coupes and five roadsters were ever built. This is number 12, which was delivered in Switzerland. 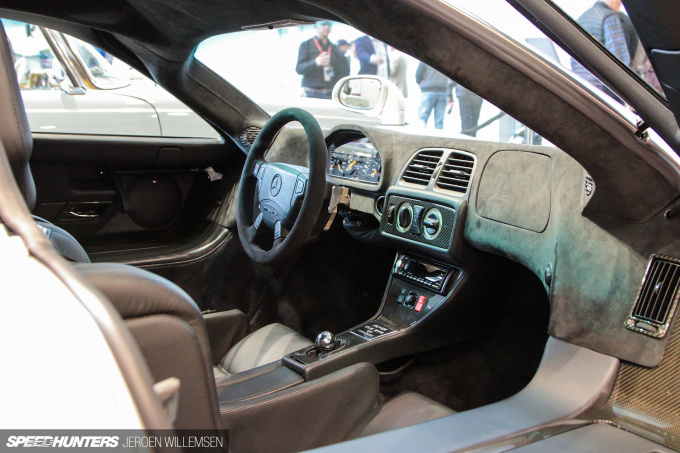 In 1999, the CLK-GTR was the most expensive production model in the world, but for your money you got a machine that could go 0-100km/h in 3.7 seconds and keep on accelerating up to a top speed of 320km/h. The odometer on this car had just 3300km showing. 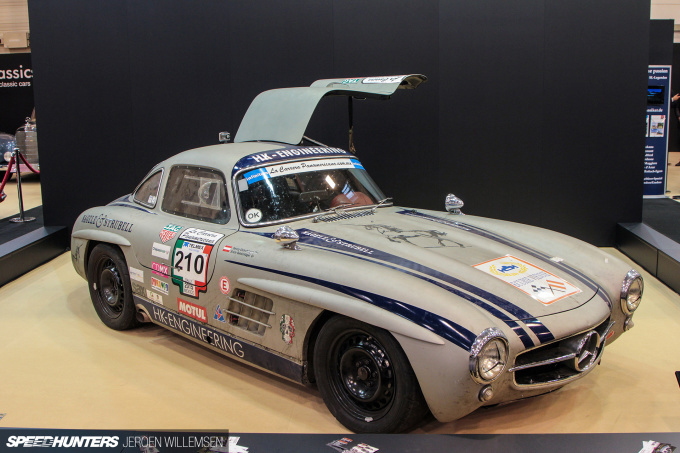 On the same stand as the CLK-GTR, but somewhat more unusual was this Mercedes-Benz 280SL. Contrary to what the badge on the back says, it’s actually known as the Mercedes-Benz SL 430, the ‘430’ a hint at its engine capacity. This car has been restored from the ground up by Mechatronik with a M113 V8 engine from a much newer SL. 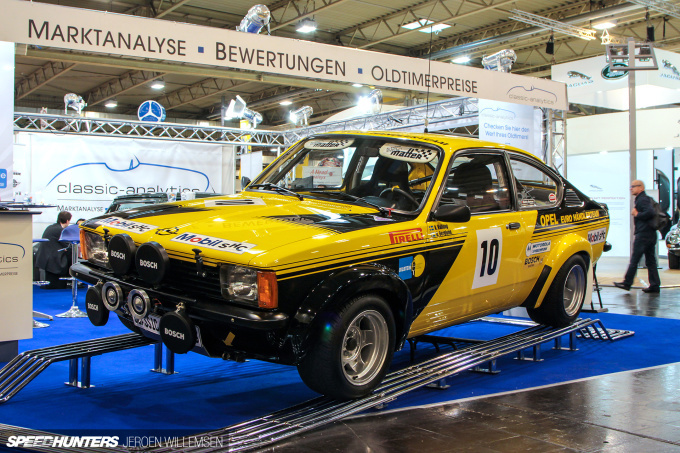 The Group 4 rally Opel Kadett C GT/E developed 225 horsepower in period and was driven by legends like Walter Röhrl. 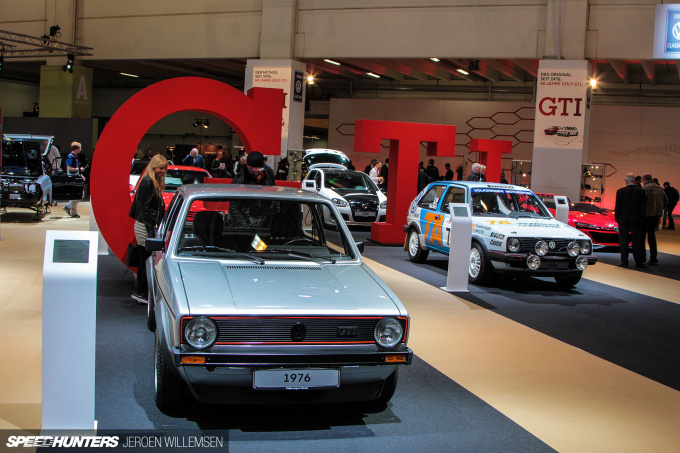 At the Volkswagen stand the history of the GTI was proudly presented. 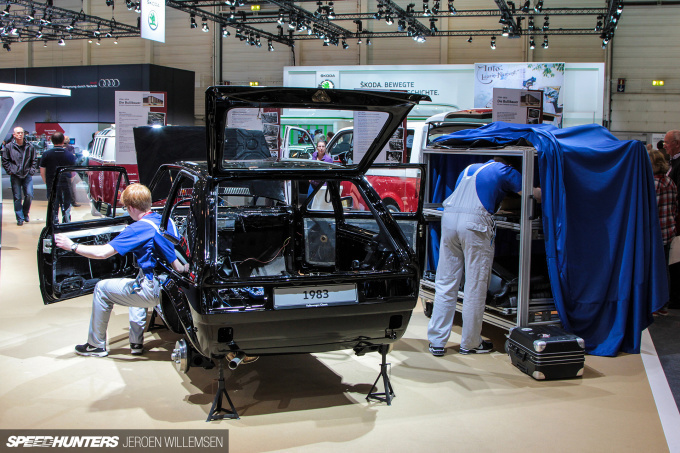 It’s not uncommon to come across partially completed builds at Techno Classic (we’ve seen a few in this coverage already), but the 1983 Golf GTI on the Azubi-Projekt stand was a little different – it was being worked on throughout the show by two mechatronics technician trainees from Volkswagen. How cool is that? 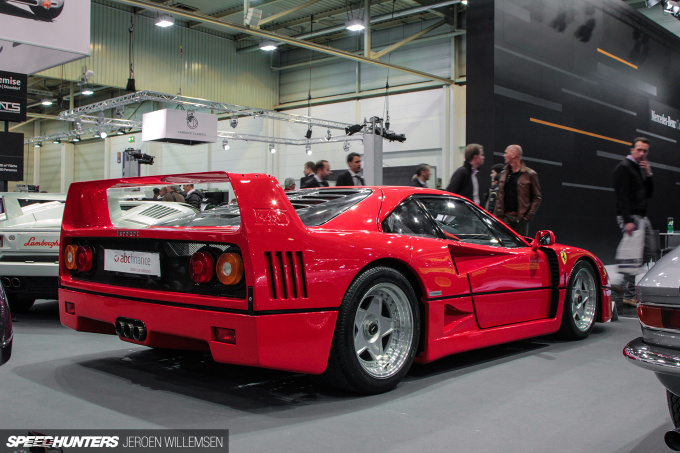 The Ferrari F40. What more needs to be said? 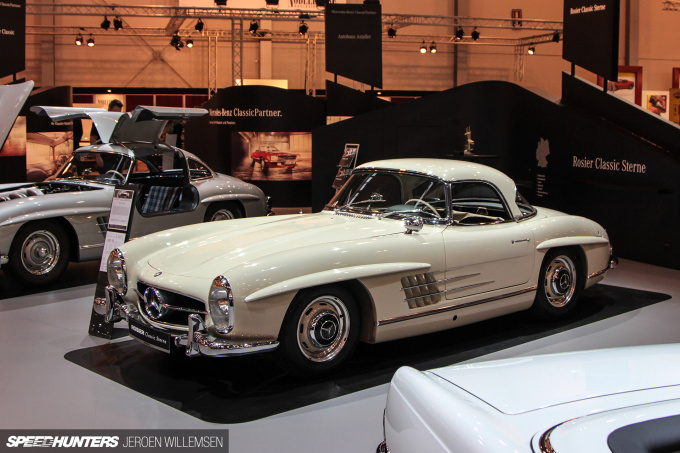 If you think cars like the Mercedes-Benz 300SL should be stored in a garage, look away now. 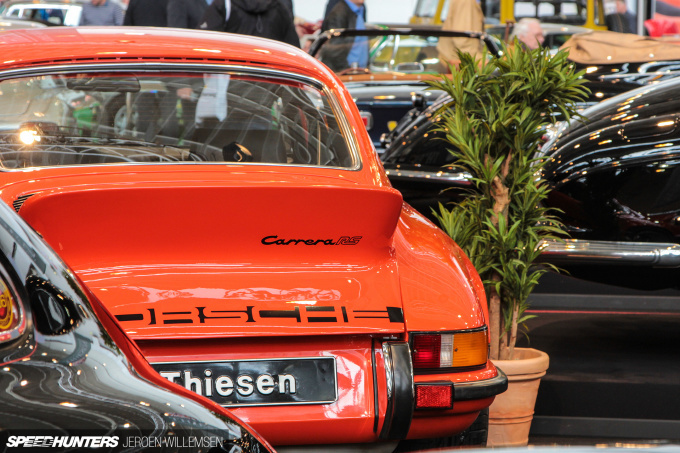 The guys from HK-Engineering still run the La Carrera Panamericana rally with this race-prepped example. 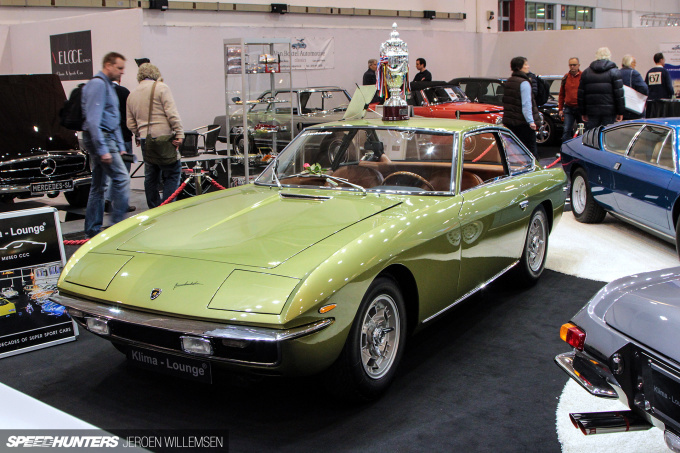 With only 120 cars still in existence, the 12-cylinder, 350hp Lamborghini Islero is a rare machine. This is so gorgeous, at least in my opinion. 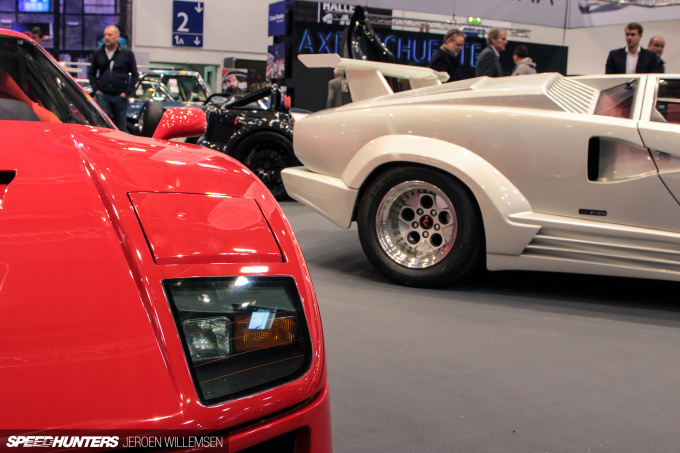 This Lamborghini Countach LP400 from 1977 has only 19,000 original kilometers on the clock. It also won Best in Class at the Pebble Beach Concours d’Elegance in 2008. The color was the first thing that grabbed me. 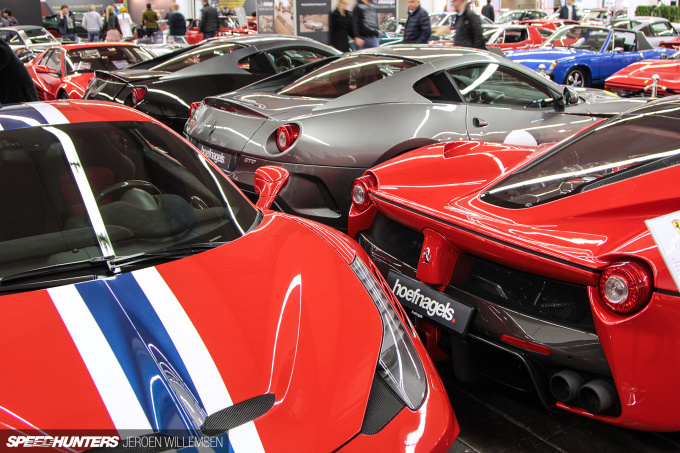 How many Ferraris do you need? Or more fittingly, how deep are your pockets? Perfection, better known as the Mercedes-Benz 300SL from 1961. The Ferrari 512 BB, also known as the Berlinetta Boxer, is a personal favorite of mine. 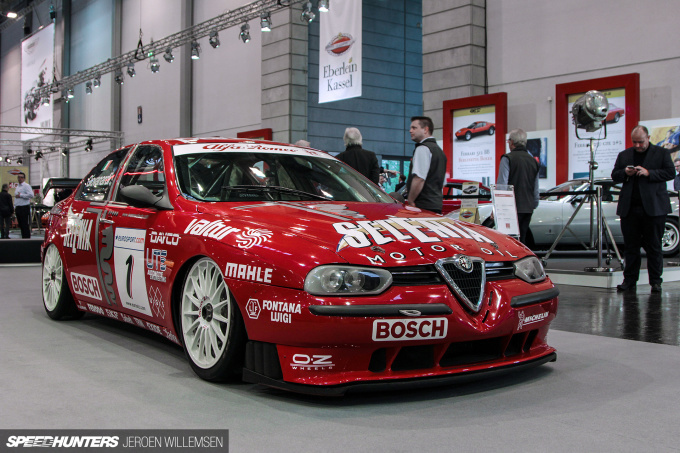 The Alfa Romeo 156 D2 Superturismo: 350hp worth of 2.0L naturally aspirated touring car awesome, and good for 260km/h. Remember what I said about cars being crammed in everywhere? 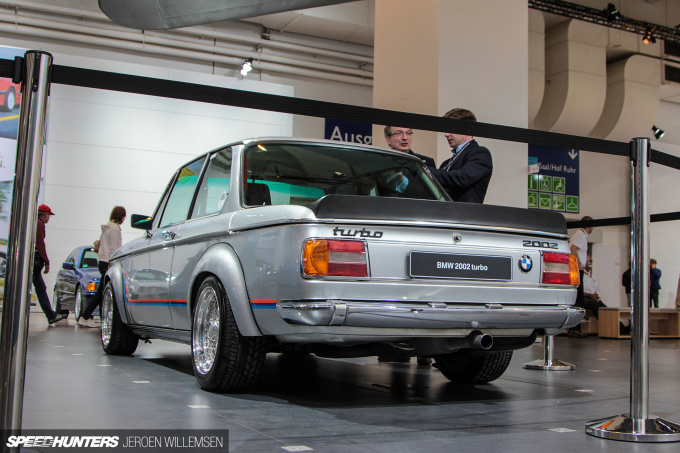 Here’s an example of how some of the best cars at Techno Classica are hidden from plain sight. 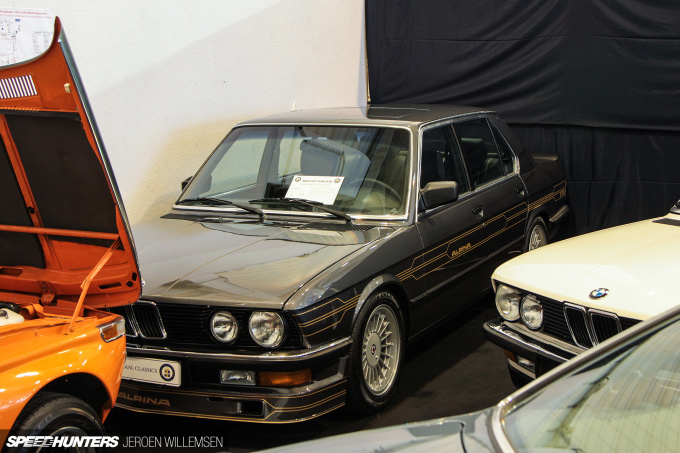 This BMW Alpina B7 Turbo E28 is 1 of 236 made, and is known as the god of all E28s. 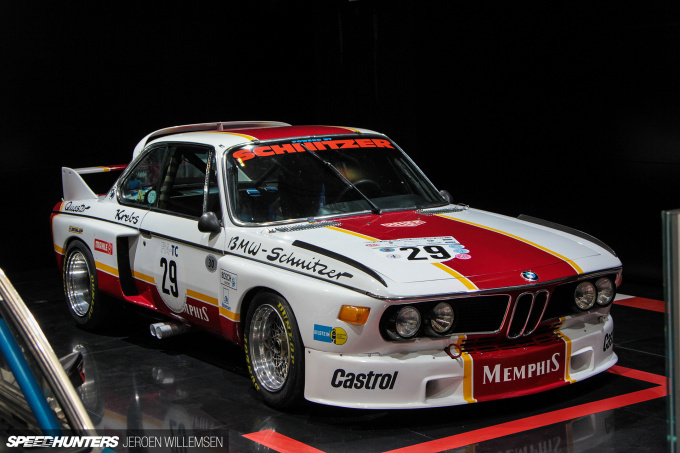 I never miss an opportunity to capture a BMW 3.0 CSL Rennsport-coupe. This fine example was on loan from a private collector. In 1979, after a Kremer K3 had won the Le Mans 24 Hour, Walter Wolf asked Kremer Racing to build him an identical road car. 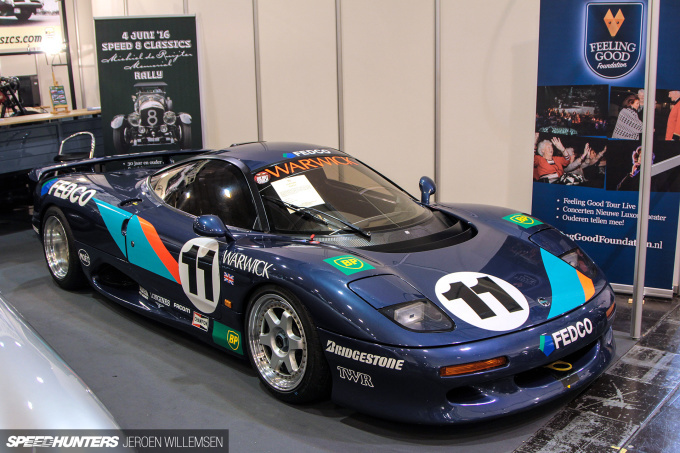 Unbelievably, Kremer agreed and the resulting car was 98 per cent accurate to the Le Mans-winning machine. Before delivery, Kremer tested the car on the German autobahn and clocked 338km/h. 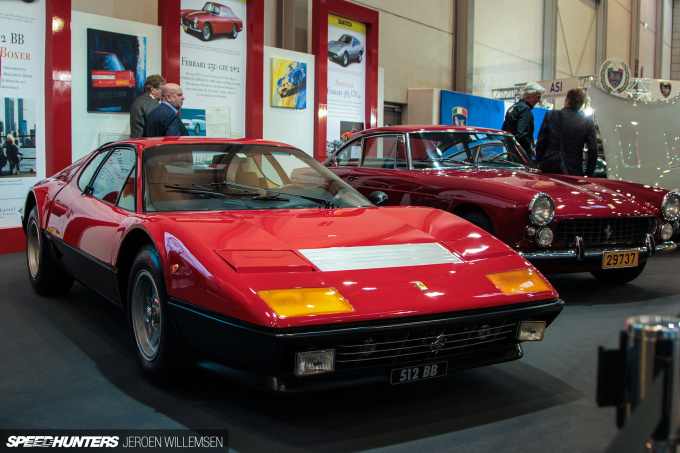 Some of the rarest and most sought after sports cars in the world are just typical sightings at the annual Techno Classica show, and one of the reasons why I’ll be back again next year. Oh, man. How about that 507? I love those so much. I mostly like the obscure Japanese automaker creations of the '70-'90's, but this is out of this world! Alpinas, Classic Lamborghini's and Ferrari's, MB SL and Evolutions, M1 racecars and roadcars. The sheer amount of stuff my eyes have feasted upon is limitless. This is, really, the "Pure Joy". This is an article to be read and reread countless times! That Miura display is really interesting! Love the raw metal. 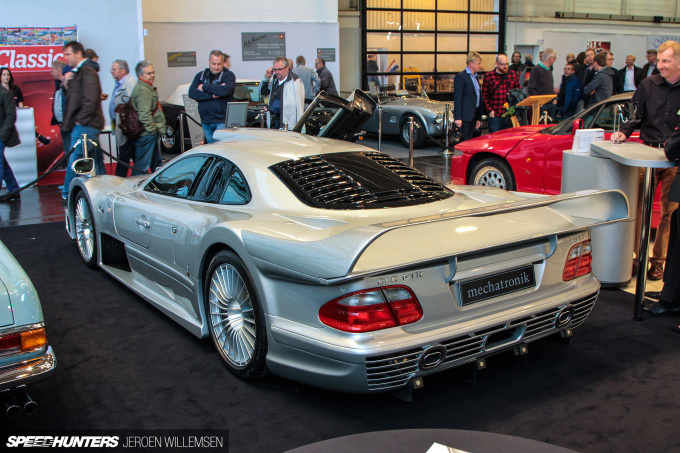 MMM I would love to see a CLK-GTR in person. Such a unique and interesting car. 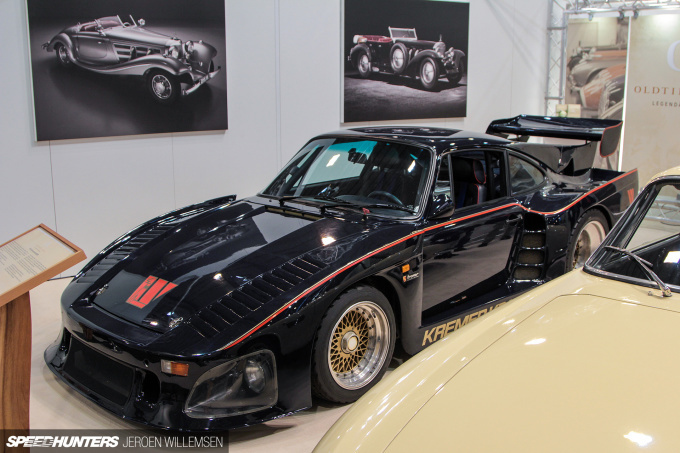 Road-going 935 K3, XJR-15, Group S Audi, Porsche GT1 - any of these? Very cool... what else can be said? 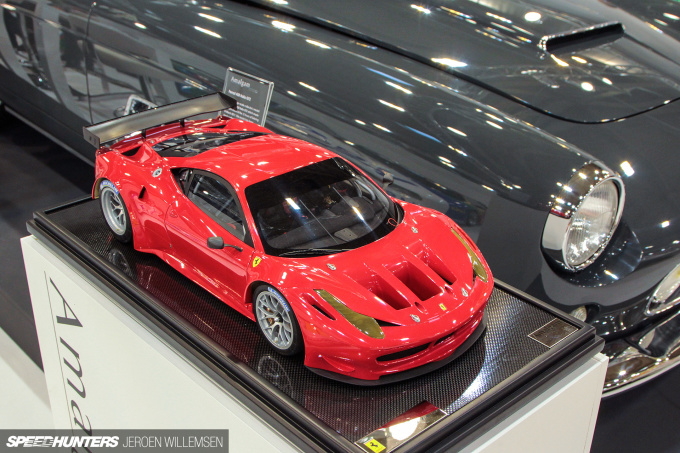 Miura, F40, LP400, CLK-GTR, XJR15, 190EVO2, and THAT plain body 934! It's good to have you back Jeroen! Love this post! Words are not enough. Seriously, what a fine selection of rides. I tend to feel pretty bored/overwhelmed at the bigger vintage german car shows because there's about 80-90% Porsche and Mercedes. And it's a real shame. I mean .. at the Retro Classics in Stuttgart (a comparable but smaller venue) you could see no less than 6 perfectly restored 300SLs, >3 F40, 250 Ferraris etc. ... but because it's just too much it's hard to really comprehend what you just saw! You managed to avoid the sheer overwhelming presence of 911s and cherry pick really great cars!! Excellent work! Good that i didn't visit Essen this year. Guess i enjoyed your article more! maxproof Wow thank you! 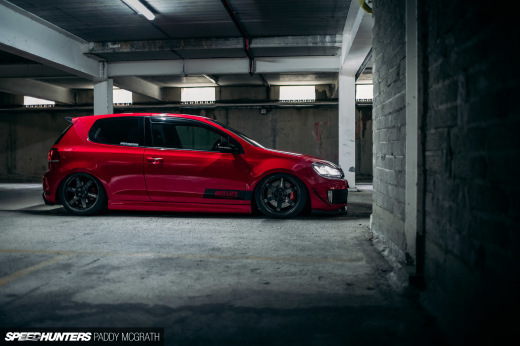 I can relate to what you are saying, you can get jaded at times looking at these machines. But especially the cars that are hidden make the trip every year worthwhile. TonyNZ Thanks! Not sure which events will be held in Italy though. 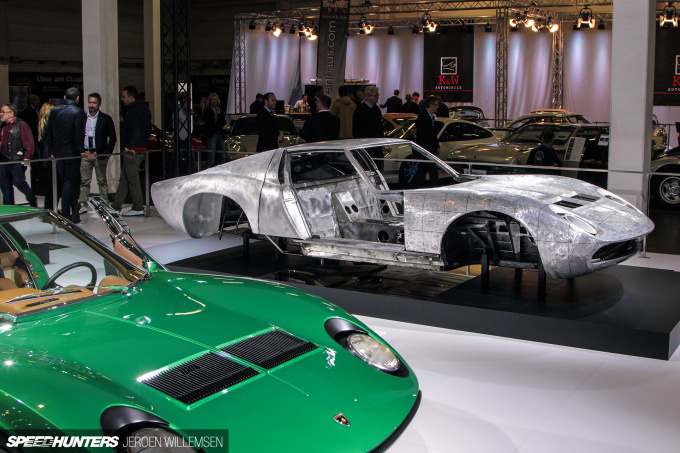 SN95 Lover That raw metal Miura looked so good 'naked'. Dimitry Mochkin Thank you for the compliment! Not into classics but this was so much more than I expected. How did Alfa get 350 from a na 2 liter? wow, what a show. minnnnnt cars! 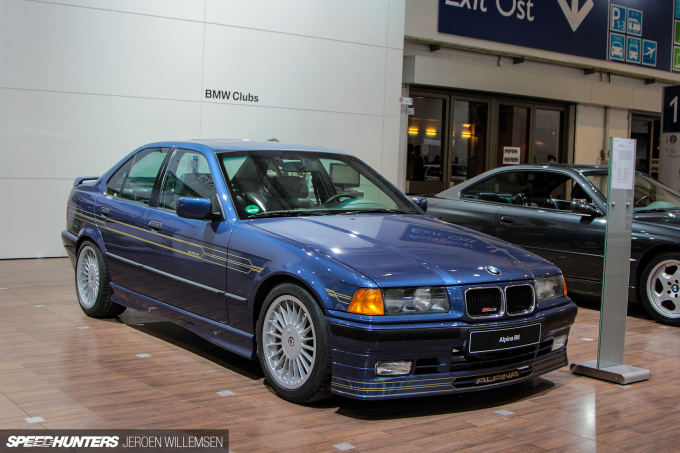 No E30 M3 Evo to compete the 190 Evo II? EvolveWRC Nope, only found two regular E30 M3's. TurboHippie The Lancia Stratos GR.4 is one from 14 original build works cars with chassis number 829AR0001578 from 1974. One of the best posts ever. I will have to read it numerous times. Thank you. Ive been wondering where you have gone, I've missed your articles. You tend to go to a lot of the interesting motorsports events over in Europe, I look forward to seeing more from you this year! I love that Kremer K3! I must look up more info on this car!!! bucky Thanks!! Hope to contribute some more this year! Buick Man Thanks for reading it! The opening picture reminded me of a car that is for sale in Sweden right now. Now that was surprising! I had a toy car I used to play with when I was younger that I never knew the model of; I just loved it because it looked so wild and different. 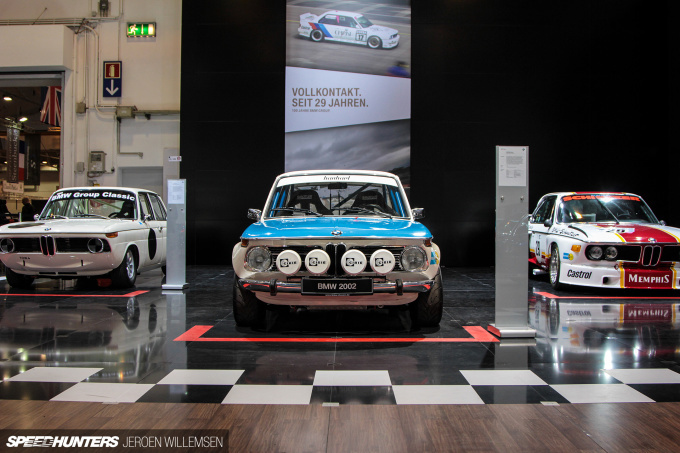 Scrolling through these images, and lo and behold, the Kremer K3 caught my eye! That was it!! An amazing piece regardless, but discovering the answer to a question I had and never thought to look up for the best part of 20 years was quite special! 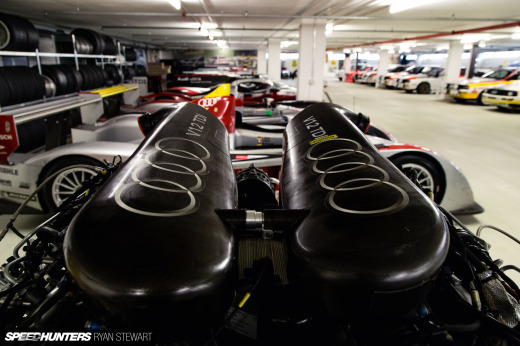 In Audi Avus I can definitely see hints of Bugatti ! That CLK-GTR reminds me my childhood days, that was last car in NFS Hot Pursuit 2 ! 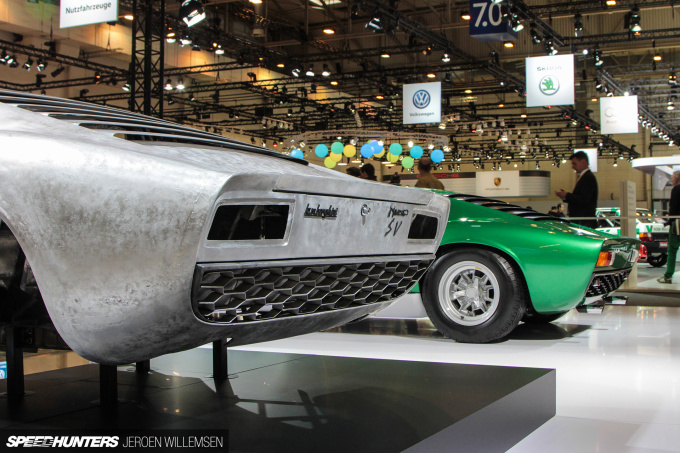 Can't realy deside what i'd like to see naked the most... Tyra Banks or a Miura. Now I've seen the Miura! bagged83dime The front and the rear arent from a sedan but a CLK coupe. For me its one of the most beautiful race cars ever built. Those were the days when LM race cars still looked a bit like a road car, not like the ugly LMP1 from nowadays. 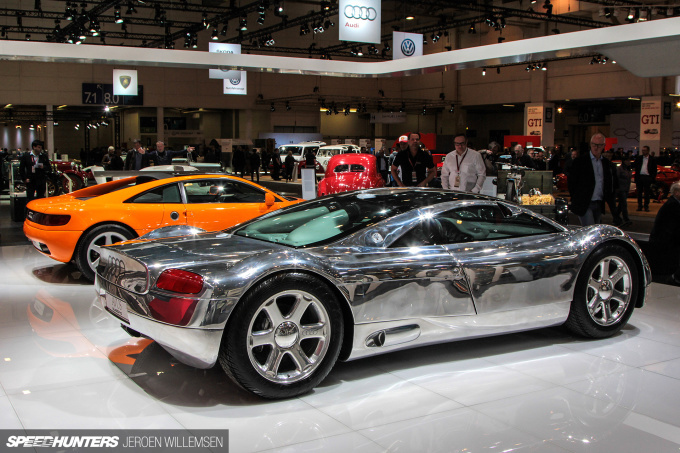 Love the Audi Avus. Too bad it's just a prototype.